Notable Kids Publishing, 9780997085112, 36pp. The Adventures of Camellia N. (Mom's Choice Gold Medal and named "Best Green/Environmental Book" by Story Monster Magazine) is the first in a series of nine educational fiction books targeted to early readers 4-8. 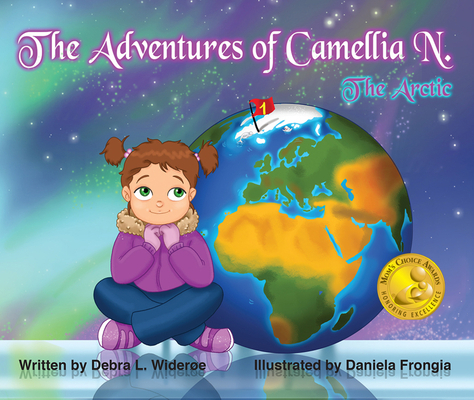 Camellia’s nightly dreams take her on adventures to all seven continents and under the seas where she learns about and gains appreciation for the environment surrounding her. Since the opportunities to explore the world’s environment are limitless, Camellia discovers the beauty and magic in every state, country, region and space. The first book takes Camellia and her readers on an exciting journey to the Arctic. What sets The Adventures of Camellia N. apart are rich, educational stories filled with messaging with meaning. Camellia will be a catalyst for change and help educate young children (and their parents) to appreciate the natural riches of the world…and to protect them. The recipient of numerous professional, academic and service awards, including the recent Charles H. Sandage Excellence in Teaching Award, Debbie Widero's ties to education included having her own columns in Sunshine Family Magazine and KidScreen Magazine. Debbie received her Master’s Degree from Harvard University, launched nationwide TV campaigns for children, wrote, produced and directed celebrated children’s TV specials, as well as working with the major entertainment studios and non-profit groups. She is currently the president of the Widerøe Group and has been a Visiting Professor of Communication at Pepperdine University in Malibu, California for the past 16 years.